Claudia Gray is so wise. 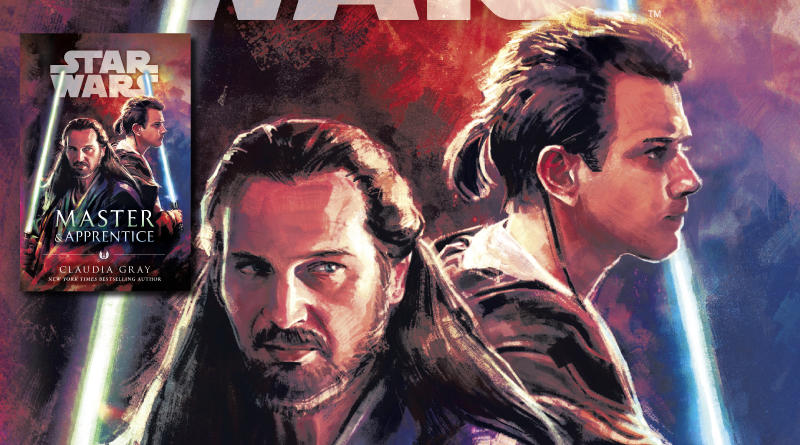 With her latest for the Star Wars galaxy, author Gray has created a smart and fascinating adventure from the lives of Jedi Qui-Gon Jinn and Obi-Wan Kenobi. Set years before the events of The Phantom Menace, Master & Apprentice finds the two characters at a crossroads in their relationship and on a mission to assist in a political situation on the planet Pijal that’s not as straightforward as it seems. It’s a page-turner with plenty of elements for those interested in the Jedi and the Force to eat up. I have to admit when the book was announced I was rather ambivalent about the idea of a novel focused on these two characters in this time period. After years of growing up idealizing the Jedi based off the few references in Star Wars’ original trilogy of movies, I was disappointed in the Order the prequel trilogy presented. And while I enjoy much of this author’s previous work, I haven’t found myself looking for even more stories with this Jedi Order than we already have. So how much I enjoyed reading this book was a pleasant surprise. One of the things I have come to appreciate in the years since the release of The Phantom Menace is how Qui-Gon wasn’t quite like the rest of the Jedi we saw. And here in this book it is very apparent that his views aren’t mainstream for the group. Gray uses this conflict to her advantage not just with Qui-Gon and the Council but between Qui-Gon and his padawan, who prefers a more rigid set of rules. Even though we know where this duo ends up, Gray manages to create tension all the same. Qui-Gon and Obi-Wan aren’t the only characters in this book though. There’s another of Dooku’s former students who is a very different kind of Jedi, a young princess preparing for a major change, a performance artist in the midst of something bigger than herself, a human raised by protocol droids, and a pilot/mineralogist desperate to stay away from a galactic conglomerate – to name a few. Gray challenges several of these characters to the point where they question their perspectives. They learn and sometimes it’s the hard way. Master & Apprentice looks at communication, feelings of failure, and trust. It might be the biggest canon look at slavery in the Star Wars universe to date too. It’s not a story without frustrations. One of which is that there are several character pairings that’d be well served by a good old-fashioned heart to heart. Especially in the case of the Jedi, no one seems too keen on that though. There are a lot of descriptions that are beautiful and vivid. For the first time ever I found myself wanting to hang out at the Jedi Temple despite my feelings about the Order. But my favorite element of the whole book is how it wades into the Force and the treatment of prophecies. 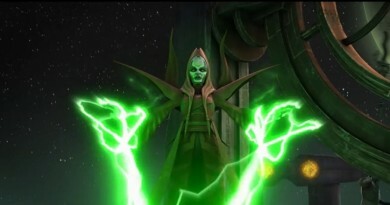 In addition to Qui-Gon’s and Obi-Wan’s more expected Force interactions there’s a questioning of Force visions in particular. And what’s more here prophecies aren’t merely a plot device. The exploration of them goes further than what we’ve seen in previous material and provides a few points of view. 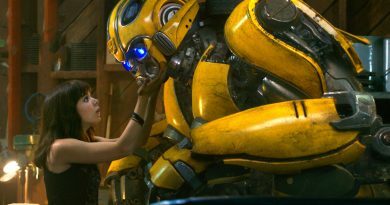 Much like the visions and even the book itself, they can’t always be taken just at face value – a deeper look is required. What struck me the most overall is the balance the author achieves throughout the book. She’s definitely playing with expectations and what you know comes down the line in the saga but it never seems to overreach. Nearly everything seems to have a purpose. The only place where you might expect balance going into this book and not find it is in the focus between the titular characters. 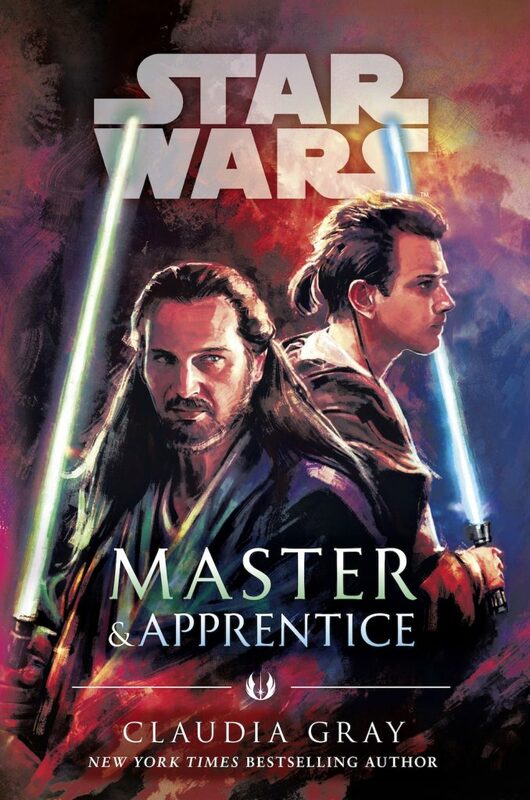 The Master & Apprentice title can actually refer to several character pairings and include perspectives of Obi-Wan’s and moments of flashback with Dooku, but in the end this is definitely Qui-Gon’s book. 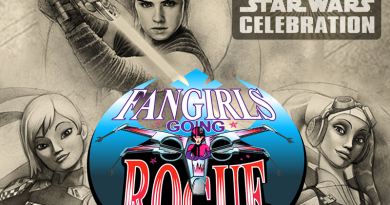 Like Qui-Gon, I’d advise you to let go of expectations, stay in the moment and enjoy this latest round of Claudia Gray’s efforts that work as both a standalone story and expand a bit of the greater story of Star Wars. Master & Apprentice by Claudia Gray is out now from Del Rey in hardcover, ebook, and audiobook. Find this review helpful? Say thanks and encourage more books reviews by leaving a tip of a coffee on Ko-Fi.